It’s funny what you remember from way back isn’t it? I clearly recall my first fake tan experience – at the age of 14 I treated my milk-bottle pale legs to a tube of Boots instant leg bronzer. Of course it took forever to apply and perfect, but I was so taken by my golden pins I flaunted them in Kensington High Street all afternoon. Since then I’ve been St Tropez’ed, Fake Baked and Zen tanned, and tested a bucket-load of home use fake tans from mousses to sprays and even wipes (which were disastrous BTW). Apart from facial self-tanners which I sometimes use, nowadays I tend to book in with the experts when I want to be bronzed (James Harknett at the W Hotel Away Spa being my current go-to pro), but there’s been quite a few fake tan launches lately so I had to try a couple. 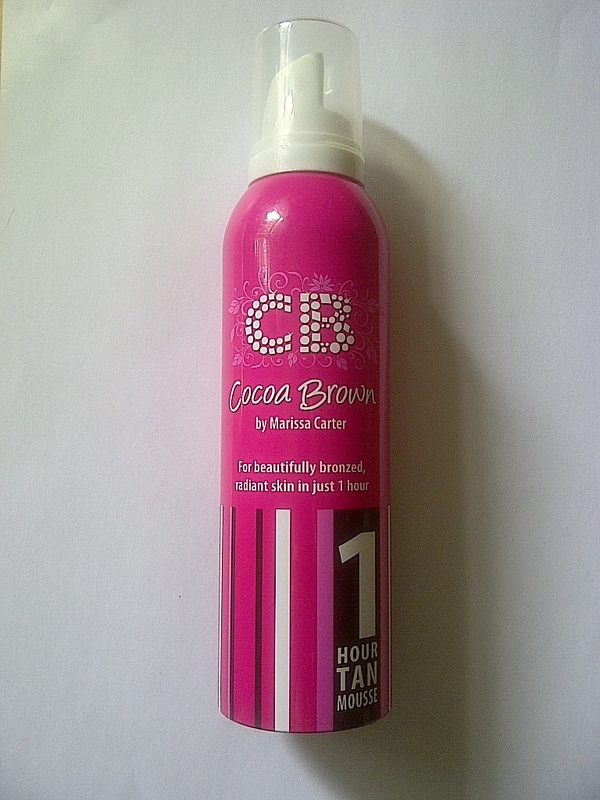 First up is Ireland’s Cocoa Brown 1 Hour Tan Mousse. Available from feelunique.com and Primark for well under a tenner, I was slightly sceptical how this would turn out. But I needn’t have been. It smells delicious, is easy to apply (I used a mitt), absorbs quickly and doesn’t leave you looking like a swamp monster. I left it on overnight then showered the next morning. The verdict? A subtle golden glow that lasted a few days and faded evenly. Ideal for the fair skinned and fake-tanning novices, it’s great value too. I did attempt to take a before and after shot, but my camera isn’t picking up skin tones realistically enough so you’ll just have to take my word for it! As seen on Dragon’s Den where it caused a bidding war between all five dragons, Australia’s Skinny Tan launched around a shed-load of hype. To be honest I’m not that keen on using the word ‘skinny’ in a product title, and I’m just focusing on the tan element so not to over-complicate things. It claims to minimise the look of cellulite as well as tanning you (hence the ‘skinny’ reference), and is priced at the top end of the market so it wouldn’t be fair to compare it to Cocoa Brown. 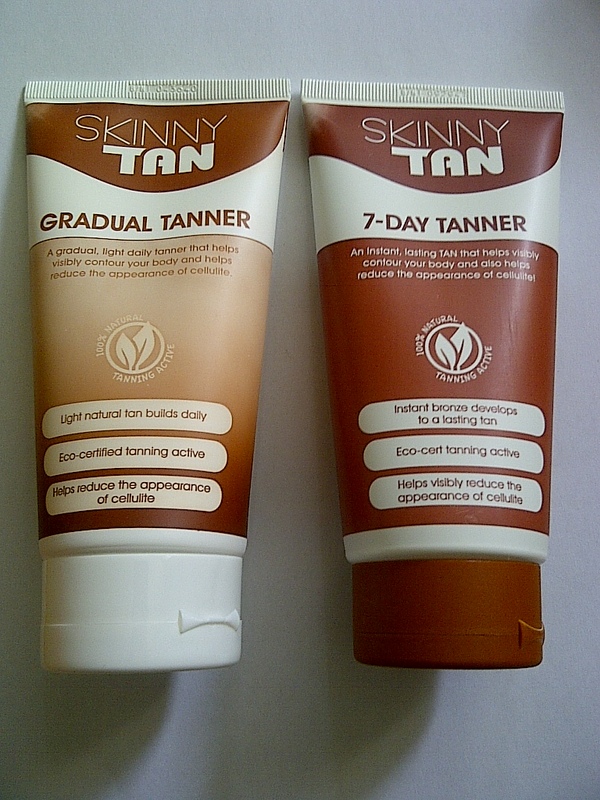 Two variants have just launched into the UK, I tried the 7 Day Tanner (£26.99). Again, it smells very pleasant – like coconuts – but the rather deep colour guide is pretty scary. Especially when I got to my face. I was using a tanning mitt and just couldn’t work out how best to apply it to my face – I ended up wiping it off and using another facial self tanner instead. Oh dear. But despite the slightly patchy colour guide and face blunder, oh my gosh this is impressive. I left it on for the recommended 5 hours then showered with water. The flawlessly even, golden results looked so realistic. Slightly deeper than Cocoa Brown’s subtle glow but I’m still tempted to apply a second layer and see what happens. The verdict: A foolproof colour that holds its own against the premium tanning brands, but is probably better suited to fake tan experts (if you don’t like the sound of the colour guide there’s always the Gradual Tanner). I only tried this last night so it’s too early to report on how it lasts and fades. Nevertheless, I can’t wait to use it again. It’s currently available at www.skinnytan.co.uk but they’re talking to other retailers as I write so look out for it elsewhere soon.